Wellsboro, PA (6/24/2014) – Howard Hanna Real Estate Services, the 4th largest real estate company in the United Sates and the #1 seller of homes in Pennsylvania and Ohio, has announced that they have partnered with Realty Pioneers in Wellsboro, Pennsylvania through Howard Hanna’s exclusive franchise program. This move increases Howard Hanna’s presence in North Central Pennsylvania and the counties of Tioga, Bradford, Potter, Lycoming and Sullivan, as well as South Central New York state. Other Howard Hanna offices are located throughout Pennsylvania, Ohio, New York, Michigan, Virginia, North Carolina and West Virginia. The company now has 169 offices and over 5,700 agents and staff. The addition of Realty Pioneers continues Howard Hanna’s growth plan in the Eastern United States. 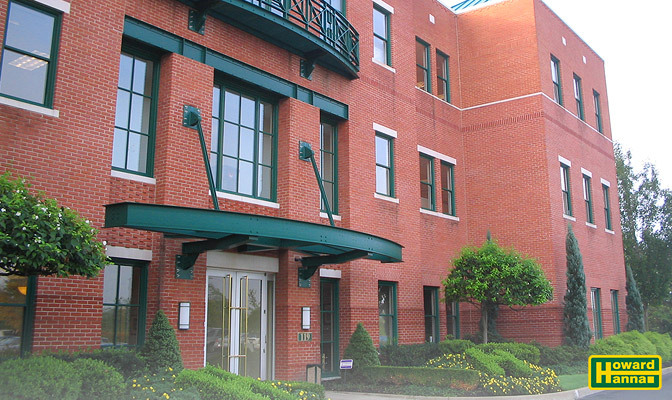 Earlier this year, the company announced their acquisition of William E Wood, the largest real estate company in the Norfolk/Virginia Beach area of Virginia and Northeast North Carolina, which added 17 offices and 700 agents. In October of last year, Howard Hanna added offices in York and Shrewsbury, Pennsylvania, through a merger with Morgan Collins Realtors, the top independent real estate company in South Central Pennsylvania. Additionally, Howard Hanna expanded its presence in Michigan with the opening of an office in Birmingham-Bloomfield two weeks ago. Realty Pioneers was founded by Thomas Saveri in 2008, and has quickly become the leading real estate company in the Northern tier of Pennsylvania. “I am pleased to have been selected by Howard Hanna as a franchise partner.” said Saveri. “Our success has been built by the hard work and effort of our tremendous agents and staff. This new relationship will provide our buyers and sellers with unique programs and services which are not available from other agencies. Howard Hanna allows us to retain ownership and decision-making locally, but gives us an invaluable resource to expand our reach and capabilities for our agents and clients.” Saveri and his staff will continue to run the office from its current location at 107 Main Street until they roll out a grand opening at a new, yet to be announced location later this summer. Realty Pioneers, now operating as Howard Hanna Realty Pioneers, will display Howard Hanna’s green and gold logo at their current location in Wellsboro. Saveri anticipates increasing the agent base and staff further in the coming months. Sales associates will immediately be able to offer the Howard Hanna 100% Money Back Guarantee along with all of Howard Hanna’s exclusive programs, while benefiting from state-of-the-art marketing tools, training and technology.